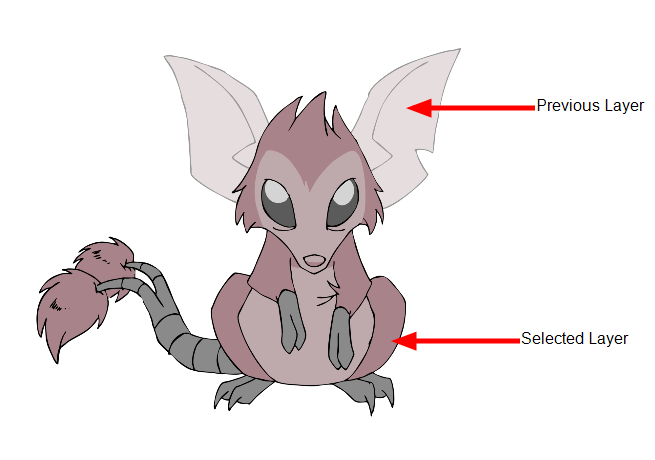 This option will let you load drawings from several elements at once. This can be useful when an animation is separated in many layers, to insure that they are well aligned and that the painted shapes and lines fit together. A good example of this would be a dialogue with the chin and mouth separated from the rest of the head. Once Paint is launched and you are logged in, select File > Open Elements. Press Ctrl + E (Windows/Linux) or ⌘ + E (Mac OS X). Select the Environment, Job and Scene where the elements containing the drawings you need to paint are located. 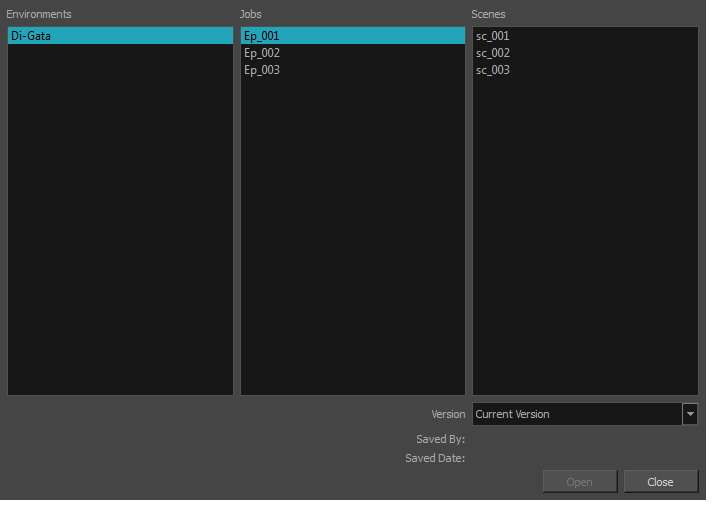 The Open Elements dialog box opens. 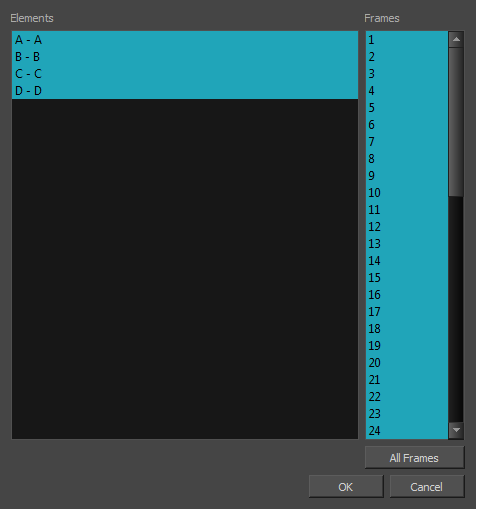 Click on the All Frames button to load all the frames of the scene. The Drawing Thumbnails view is hidden and your selected elements are loaded in Paint. Enable the Light Table option from the Drawing view toolbar to display all the drawing layers. The selected layer are displayed in original colours and the other layers are displayed as washed out colours. Use the Control Panel to navigate between previous and next layers. Press H and J. Use the Control panel to navigate between previous and next drawings. Press F and G.